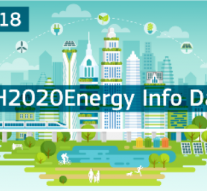 On the 5th of October, the Innovation and Networks Executive Agency (INEA) organises a Horizon 2020 Energy info day that will take place in Brussels. During the event, you will learn more about the upcoming funding opportunities offered by the EU’s H2020 Programme to projects focusing on smart energy systems and smart cities and communities concepts. An overview on the application and the evaluation process will be provided as well as lessons learnt and successful stories from funded projects. Moreover, in order to make the networking easier and to allow participants to find partners for their consortia, a brokerage event has been organized and will take place on the same day. Registrations for the brokerage event can be done here.